Students who live more than two miles away from the school and in the zones for Sandy Lane, Dunedin, Skycrest or Belleair Elementary Schools will be eligible for arterial transportation, which provides bus stops close to main roads. Parents of students living outside of the identified school zones may request space-available transportation from an existing arterial bus stop within the identified zones by calling 727-587-2020. Parents of students participating in VPK are responsible for providing transportation for their children. 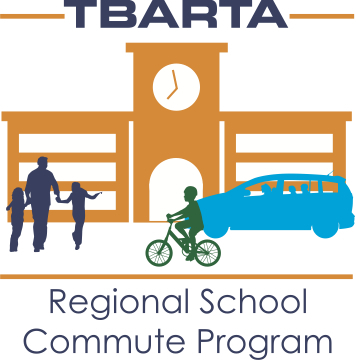 The TBARTA Regional School Commute Program matches parents of students at participating schools with other parents at those schools, so they can arrange a carpool to school (a.k.a. School Pool), saving time and money. Parents can create an online profile and instantly receive a match list of other parents making the same daily trip. Then, parents can meet and agree to share the responsibility of carpooling to school, at their discretion. In addition to matching car trips, TBARTA can also help parents arrange “walking school bus” and “bike train” groups. Click here for more details. Kings Highway Elementary PK-5 is acting solely as a referral source for TBARTA regional government agency as a convenience to its families and neither this school nor the School Board assumes any responsibility for liability arising out of your voluntary use of this program, or makes any representations as to the qualifications, safety, or insured status of any driver that you may be matched with under this program.